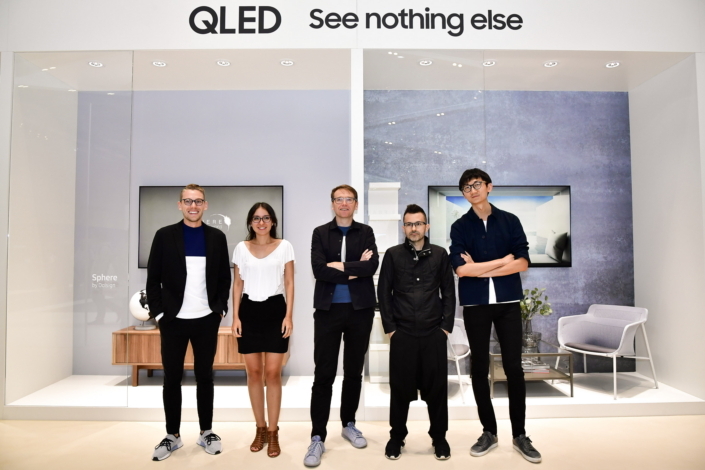 Samsung Electronics has teamed up with leading design and architectural magazine Dezeen in a competition to find the next graphic imagery for the QLED TV’s ‘Ambient Mode.’ Open to designers and creatives worldwide, the judges invited shortlisted entrants to the final round of the competition at IFA, with the grand prize winner announced on August 31 in Berlin. The competition saw a myriad of entries from all over the globe, but only five were invited to IFA to showcase their designs in full. Ambient Mode is the innovative feature of 2018 QLED TVs that transforms the traditionally black display of the ‘off’ screen into a dynamic, animated interior design feature. Ambient Mode can mimic the appearance of the wall it sits on while also conveying chosen imagery or information, such as the time or the weather. The competition elicited a diverse and exciting range of creative responses to Ambient Mode. “The great thing about all the designs is the potential they all had to be completely customizable,” elaborated Brody. “From the objects or animals involved to the background design, all had the potential to be as personal to users as possible.” Choosing a winner from the five dynamic shortlisted designs was no easy feat, but it was Swift Creatives’ design that “offered a level of detail you could get involved in, but at the same time stayed there as a very natural part of the environment,” explained Brody. 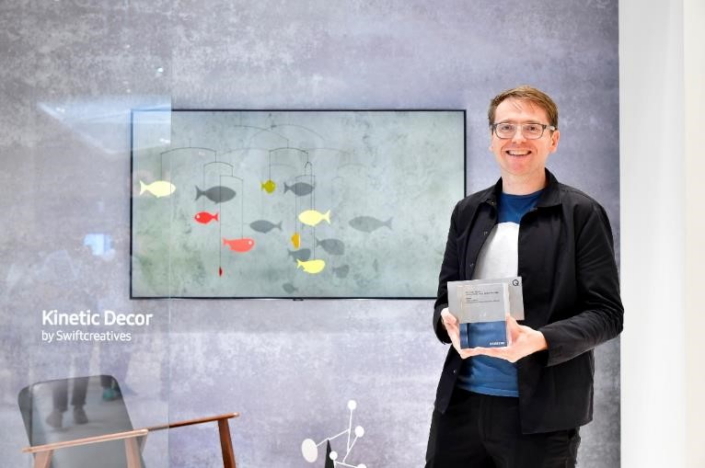 UK-based Swift Creatives, the team behind winning design ‘Kinetic Decor’, was inspired by the family connotation of the mobile design as well as their Scandinavian roots. 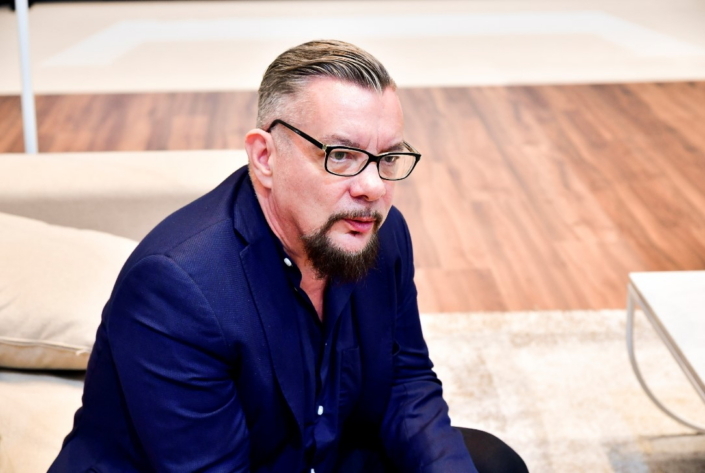 “Our design taps into the fundamental Scandinavian pleasures associated with everyday living and the simple comfort of relaxing at home with friends, using technology to support, not intrude on, this experience,” said Matthew Cockeril (pictured above). Take a look at the five shortlisted designs in full below.